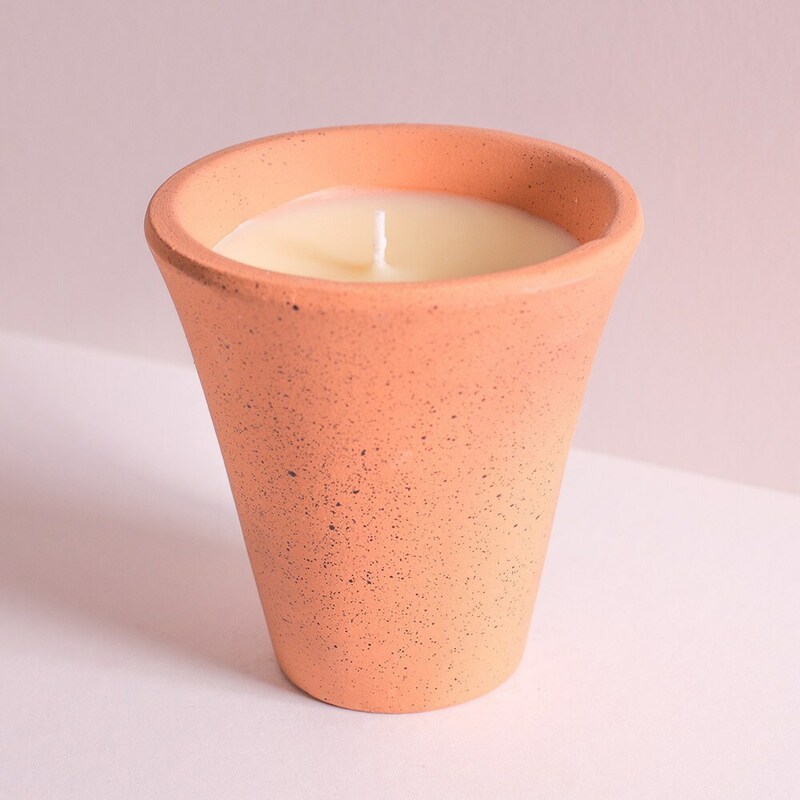 Fresh crushed mint and thyme scented candle in a rustic terracotta pot. Each hand-poured candle will burn for approximately 28 hours. Once used, the empty pots can be planted up with herbs to create your own Victorian kitchen garden. St Eval candles are produced on a traditional working farm in Cornwall with an emphasis on sustainability. The farm and workshop are powered almost exclusively by wind, sun and biomass, and packaging is sourced from recycled materials. Made from blended mineral wax and fragrance with a cotton wick.